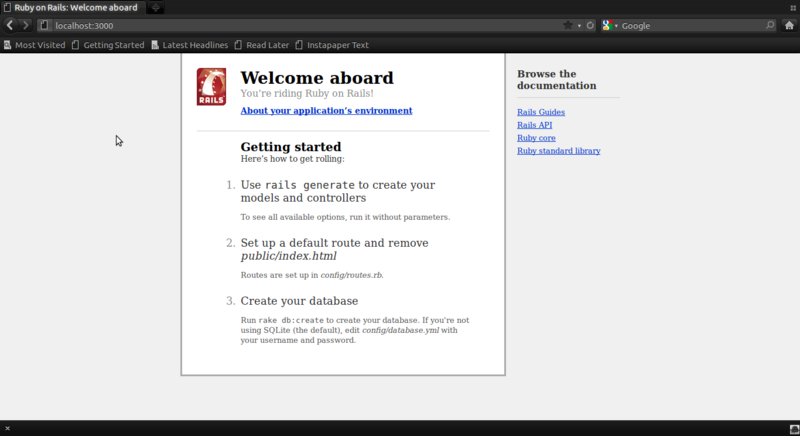 Ruby on Rails, often shortened to Rails or RoR, is an open source web application framework for the Ruby programming language. Okay anyway. You wouldn’t believe but this very post is dedicated to ‘appreciate’ the framework. Unzip. Use terminal and navigate to the unzipped content. Output: Your bundle is complete! Use `bundle show [gemname]` to see where a bundled gem is installed. Now its time to (Sleep?) customize the application. Good Bye! ERROR: Failed to build gem native extension. /usr/bin/ruby1.8 extconf.rb checking for sqlite3.h... no sqlite3.h is missing.